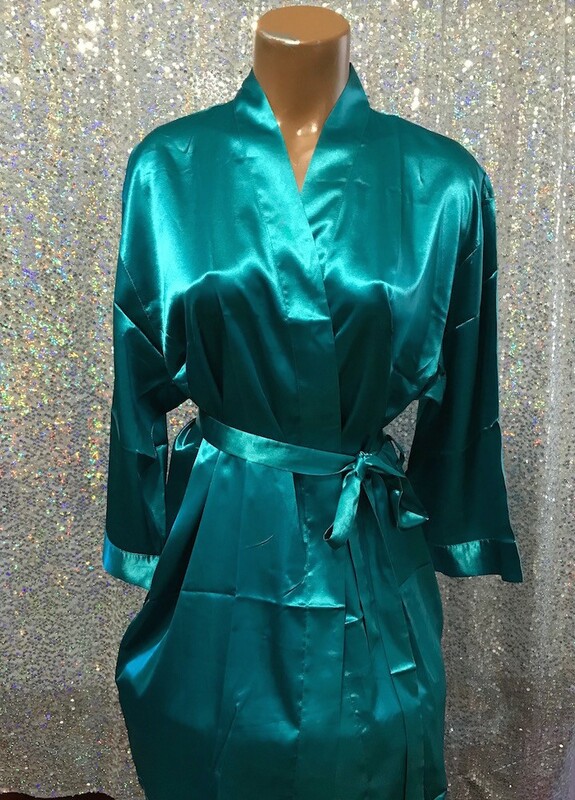 Satin Teal silky robes is a great cover up while off stage waiting. 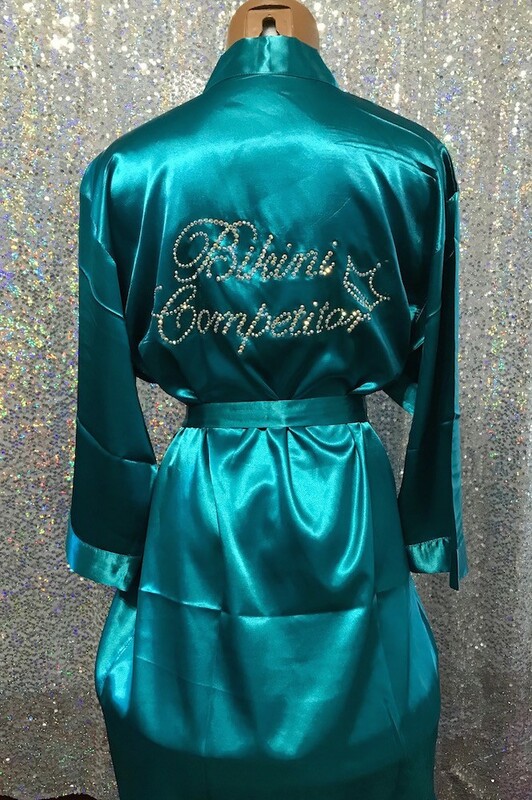 We have in black, burgundy and teal color. These robes are customize able, please email us if you need additional monogram on your robe.